Heat some oil in a pot over a medium heat. Add the curry leaves, onions and saute till transparent. Add the salt, spices grated tomato. Stir and allow to simmer on a low heat. Add a little water and allow the chutney to cook. Add the cut up green beans and a little more water. Cover and cook till the green beans are soft, you might need to add a little more water to prevent the food from sticking. Add the frozen peas, cover again and remove from the heat. Before serving, give the curry a good mix so that the peas are evening mixed. Thanks Darlene for sharing ! Yummy! 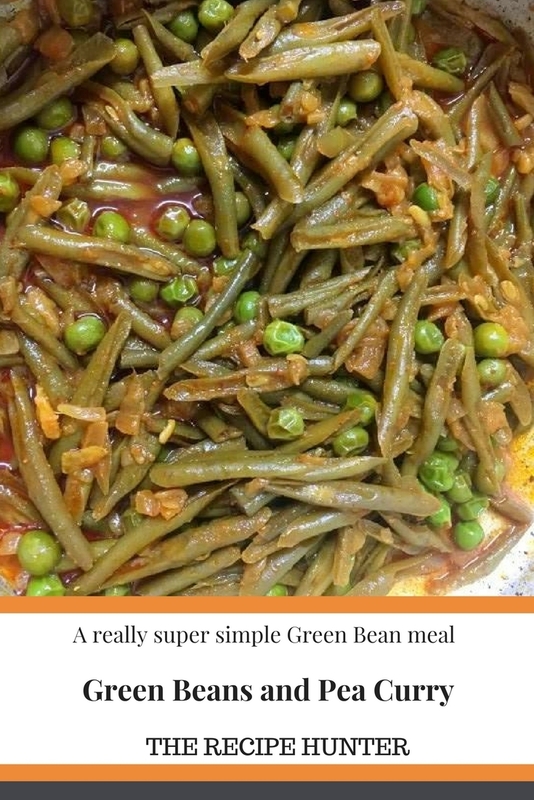 I love these green beans but I have not tried this with curry. This reminded me that I have not eaten these beans for a long time. Thanks for sharing.